Each week, we write for five minutes, freely, on a one-word prompt. No time for process. We write quickly, then post, a flash-mob linking together at Kate Motaung’s site. It’s fun! Over the years, I’ve started to believe that being “ready” means that my hard deadlines have been met and that my plans are air-tight. I’ve taught my kids to “be ready” by having their teeth brushed, lunches packed, and shoes on. To us, someone who is “ready” is confident and prepared. Someone who knows what’s coming and has taken no risks for things to go awry. 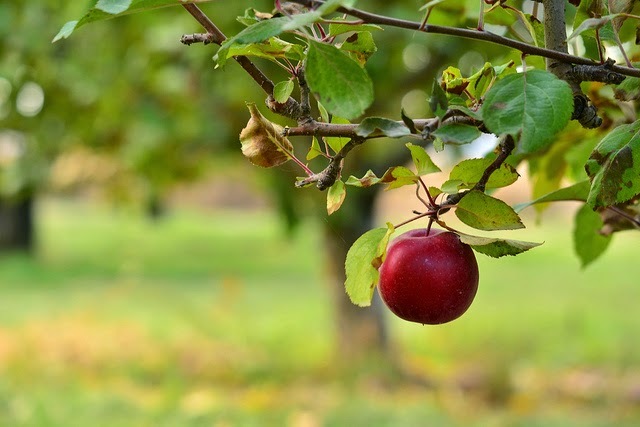 Fruit that’s ready to be harvested is soft, vulnerable, and barely hanging on. A sky that’s ready for the next storm is quiet, calm, and still. A mother who is the most ready to give birth is tired, stretched, and shaky. A baby who is ready for her first steps leans precariously, wobbly, and off-balance. Maybe God wants me to take my cue from His creation, and rethink my definition of “ready”. Maybe I’d be more ready if I had a softer grip on my expectations, and if I wasn’t so sure of myself. Maybe I need to show my kids the value in taking risks, or in being flexible and vulnerable. Maybe the best way to ready myself is to loosen my hold and lean into the off-balance moments when things aren’t as planned. Maybe I need to be more willing to fall. Maybe, when I’m feeling weak and barely hanging on, then I’m the most willing to accept His hand. And really, only then am I ready as I’ll ever be.